My friend had a problem in urinating. she feels the urge to urinate but when she urinates, very little amount comes out.Unknowingly, a friend invited her to have coffee at their house.My friend was surprise to see her friend pick a leaf from a flower pot in their yard and included it in their coffee. When she went home she passed by this plant along the pathway, she got some of it and planted in a small flower pot.Every time she had tea or coffee she just picked some of the leaves and included it. In her surprise after a month, she could feel that the way she urinates has been improved from the painful and little urine coming out to a feeling of relief…she said she never had taken any medicine except the takip kuhol, a lowly weed found everywhere…thanks to the friend who introduced it…. 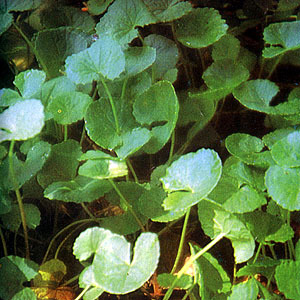 will you please tell me where i can procure some of these to plant in Cebu, bec i dont know its cebuano name. Is this a cure for bladder cancer? i have an office mate who father ail from it. Could you help him? He run out of cash because of it. it is true that goto cola can create cancer?what are the side effects of goto cola..
Is takip-kuhol can cure sore eyes? Please answer. I need it for my thesis. Thank you po.